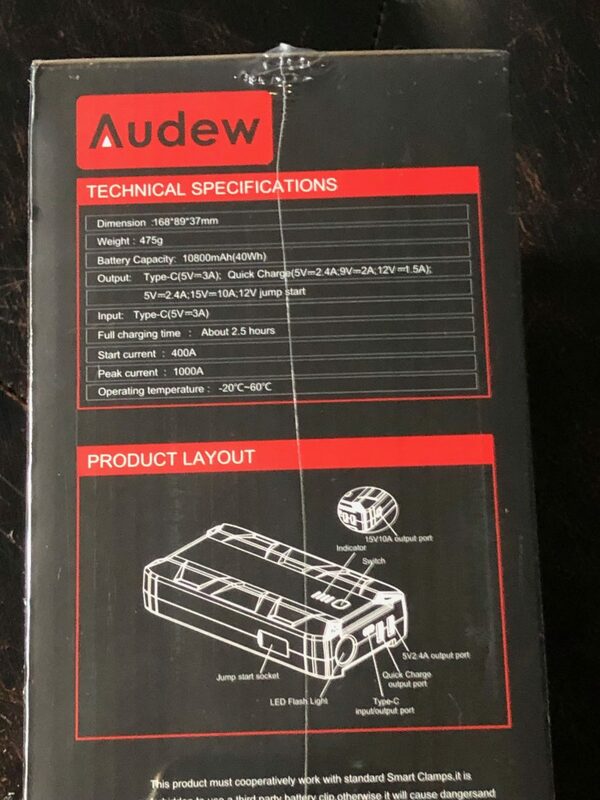 Black Friday SALE: Audew 12V Car Jump Starter Power Bank Set is usually $141.59 and is over 40% off at $77.81, or £59.89 for our UK friends! 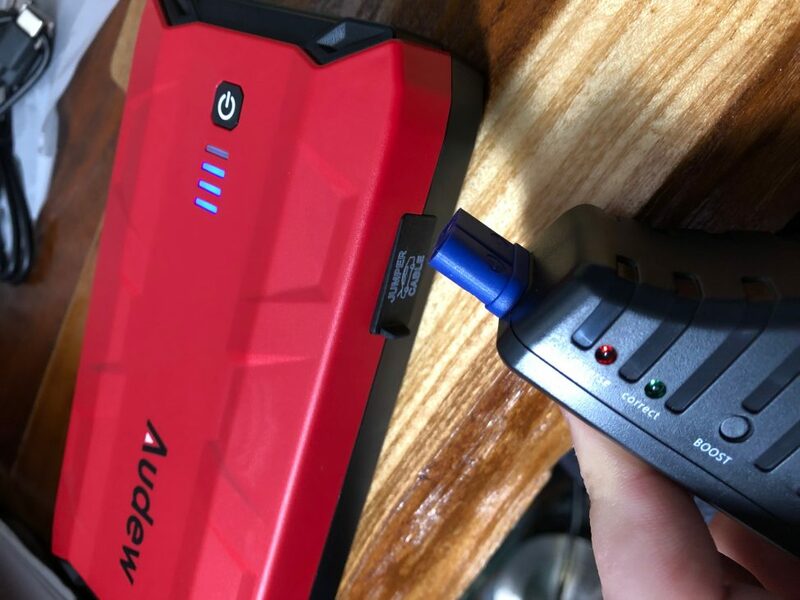 This is a Hands On Review of the Audew 12V Car Jump Starter Power Bank Set, and it did not disappoint. First, the Audew set fits all in one sturdy and compact carry case. Jump vehicles up to 30 times, from cars, yachts, motorcycles, and trucks with up to an 8.0L gas engine (7.0L diesel)! This is quite a remarkable feat in and of itself. Firing up my own 1.6L turbo did not even register on the battery meter. 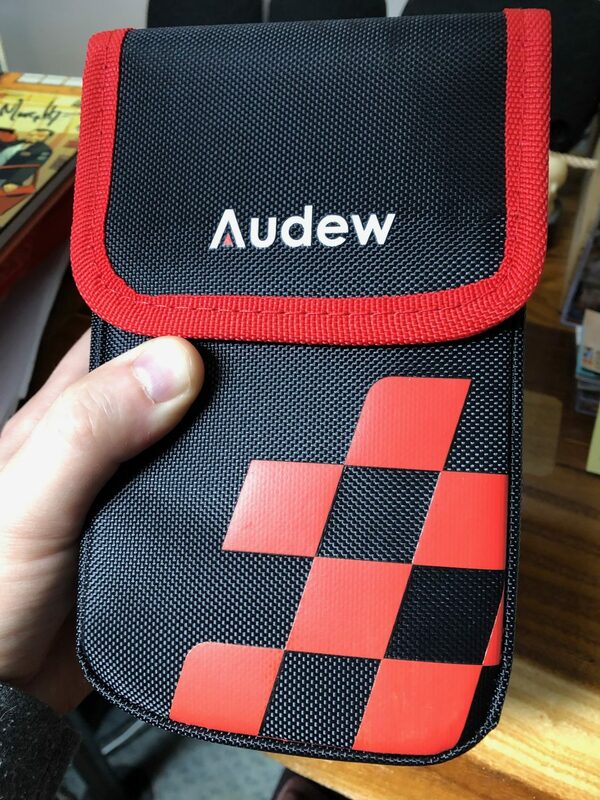 I suspect I could recharge my Mini 50 or more times with the Audew 12V Car Jump Starter Power Bank Set. Practically speaking, one of the few things that commonly go wrong with a modern car, or a vintage, on a cold day is the battery. You crawl out of bed, see the snowflakes drifting down lazily and you yearn to be so lazy. Instead you trudge in the heavy snow and attempt, futilely, to start your Jeep. The cranking quickly grows quieter as the little juice your dying battery had quits altogether. 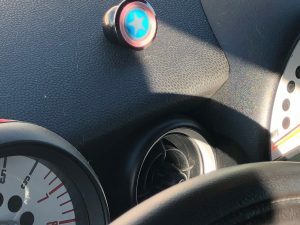 And then, the clock is ticking because you are always rushing to get to work on time, and traffic on the Expressway is going to be a game of Russian roulette, you open the hood and the house lights go out. Daylight savings means getting up in the black of morning and you cannot see a darn thing. You attempt to text your boss and find your phone is dead. 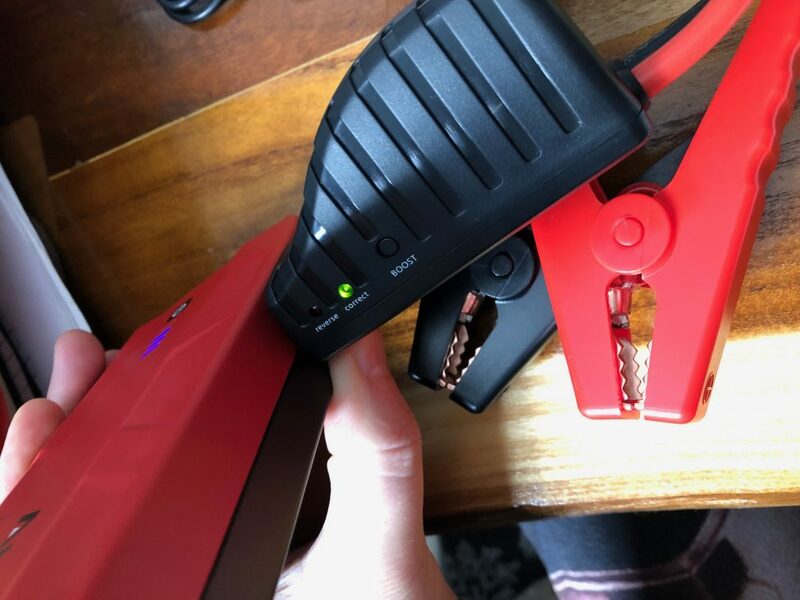 Thankfully, the all-in-one Audew 12V Car Jump Starter Power Bank Set can blast a bright LED light by holding the power button down for three seconds. Clicking on it again can turn it into a strobe light or an S.O.S. signal if you live near hungry black bears or just need help by the side of the road. Using the Audew’s light allows for finding the battery terminals easily, and it gives you an idiot-proof connection for your alligator clips. You cannot hook up the wrong ends with the Audew jumper cables! 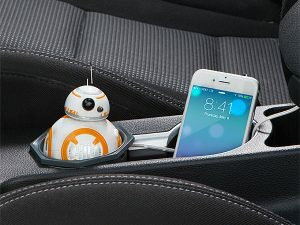 Though the cables themselves are only about six inches long, the small battery pack is so portable you can lie it right on the engine. In a quick shot your Jeep is alive again. While you clear off the snow you can then use the USB connections to charge your electronic devices with the power bank. 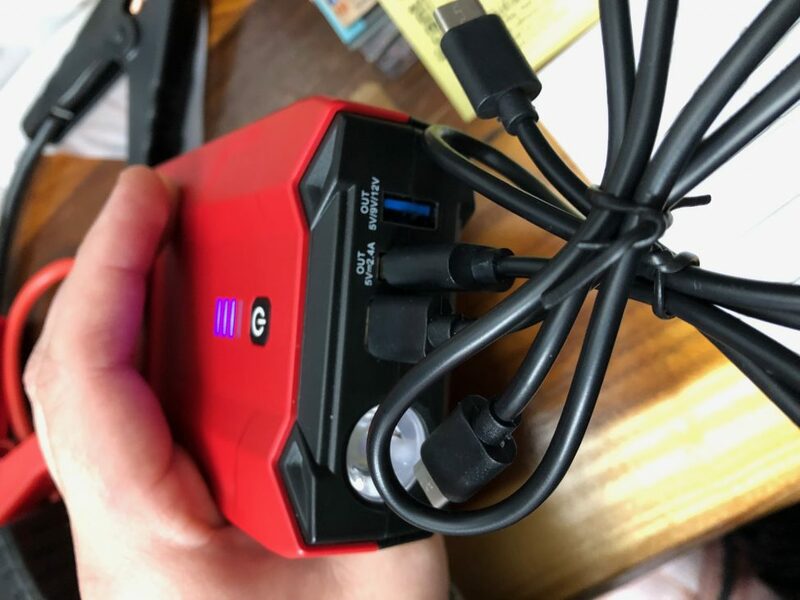 Now the biggest gripe I have is that the way to charge the Audew 12V Car Jump Starter Power Bank Set itself, you need to use the included USB-C system and either the included USB-C to USB-C cable or the USB-C to USB cable to accomplish this. And there is no 110V plug included. 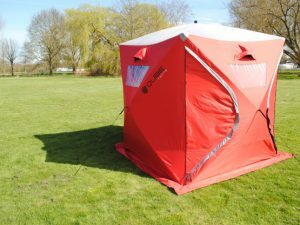 The unit arrives charged and takes about 2.5 hours to charge from fully empty and holds a charge from three months to a year. But you need to either find your own USB to 110V plug (most smartphones come with them), or you can just plug the box into any computer or cable box or TV’s open USB port. Overall, this Audew Jumper Power Bank set is an essential survival tool. 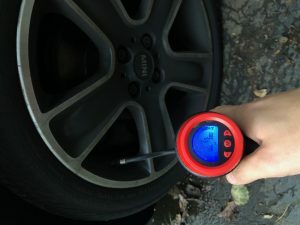 Whether it be the unpredictable snows of New York or the zombie apocalypse, Audew has given us another intrinsic tool, just like their Audew Cordless Hand Held Air Compressor. 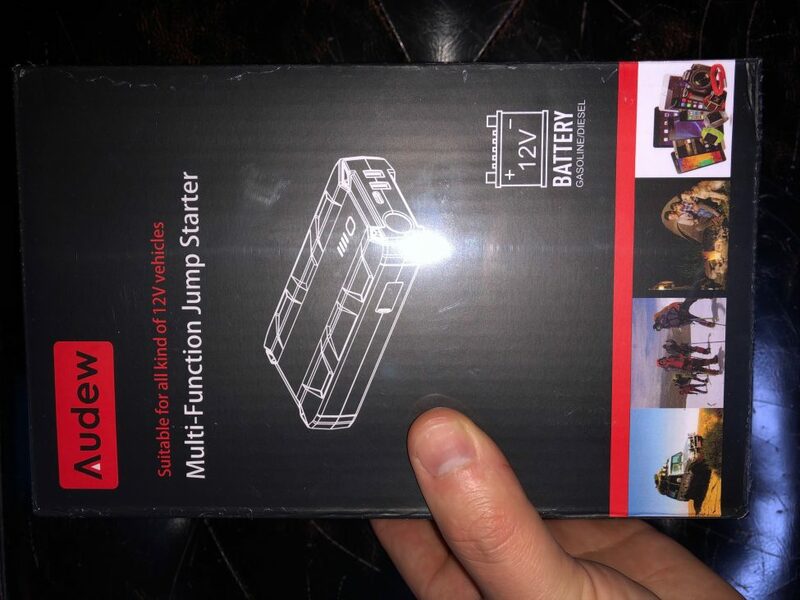 You can even get a beefier version of the Audew 12V Car Jump Starter Power Bank Set that handles any engine up to 8.5L and has twice the capacity for just a few sheckles more on Amazon.